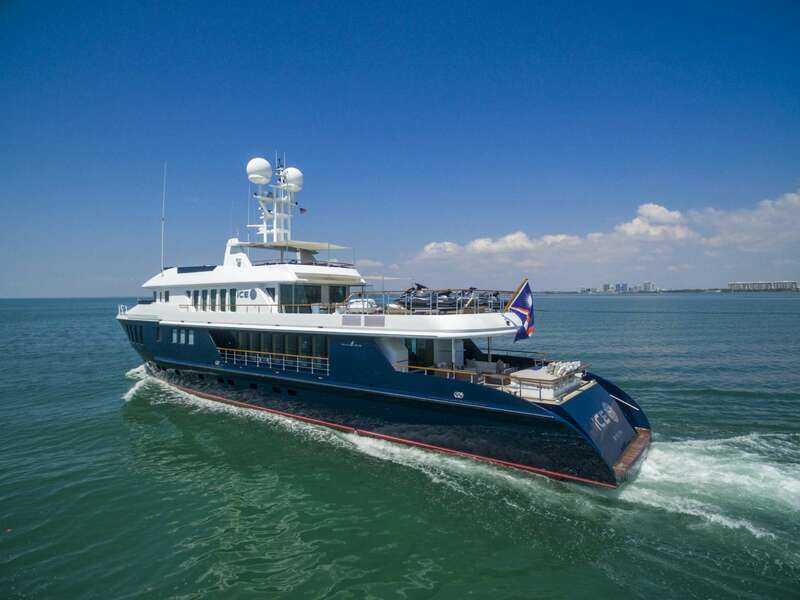 Motor yacht ICE 5 (ex Capricorn) is a 139ft (42,5m) Proteksan Turquoise fast explorer style charter yacht which was built in 2002. 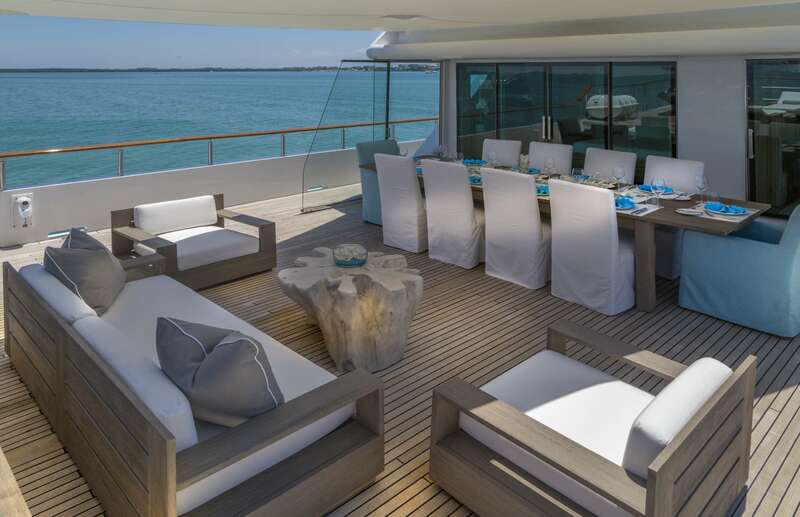 Naval architect and stylist Paolo Caliari designed the superyacht ICE 5’s superstructure to sit well forward. 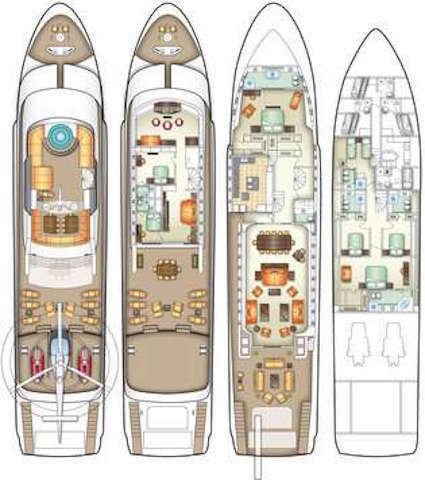 There is a huge 70 m2 saloon, as there is no side deck on the main deck structure. 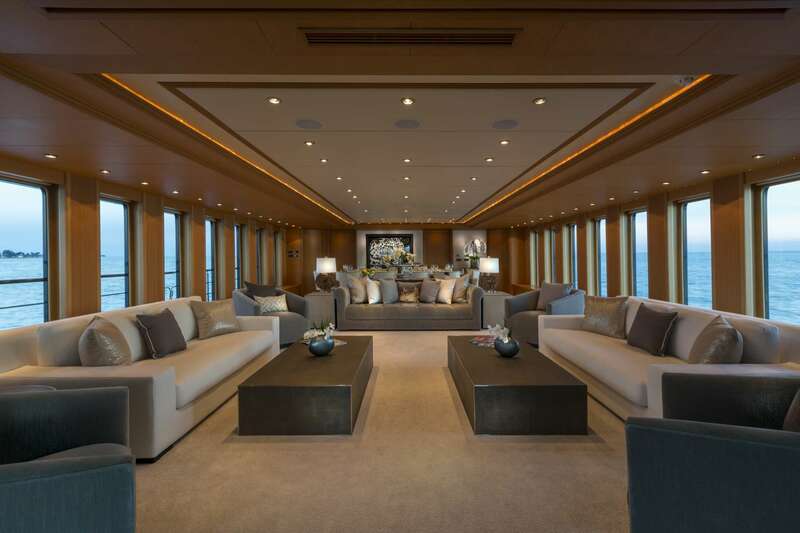 Instead of a sky lounge, on the top deck, there is a movie room. 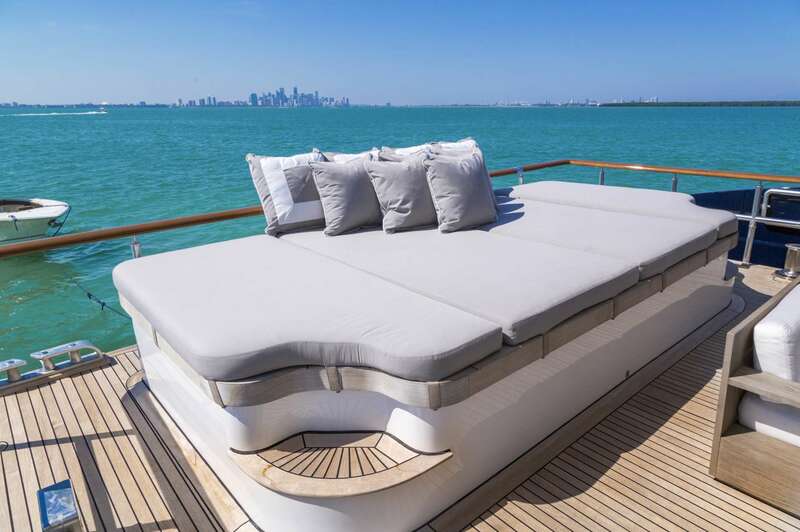 The sofa seating in the movie room and the small cabin can be turned into beds in case of need, and this is an ideal cabin for family members or unexpected guests. 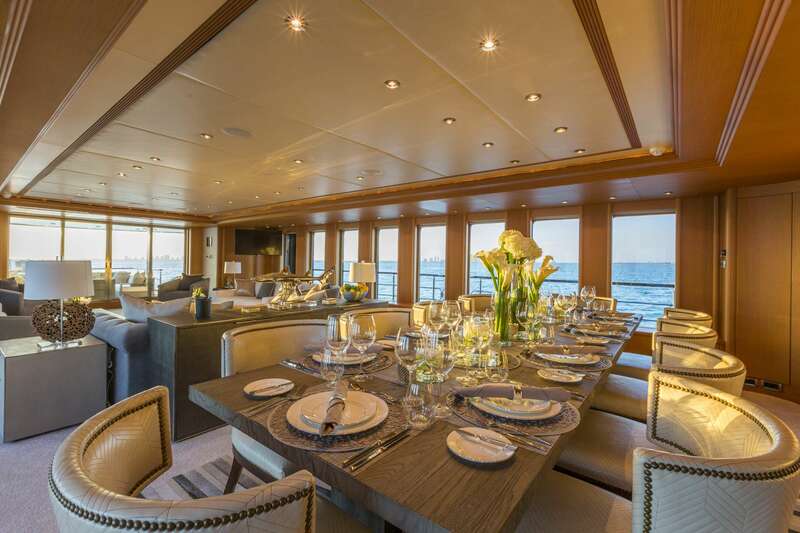 The large aft deck and saloon as well as a bridge give the best possible view of the ocean. 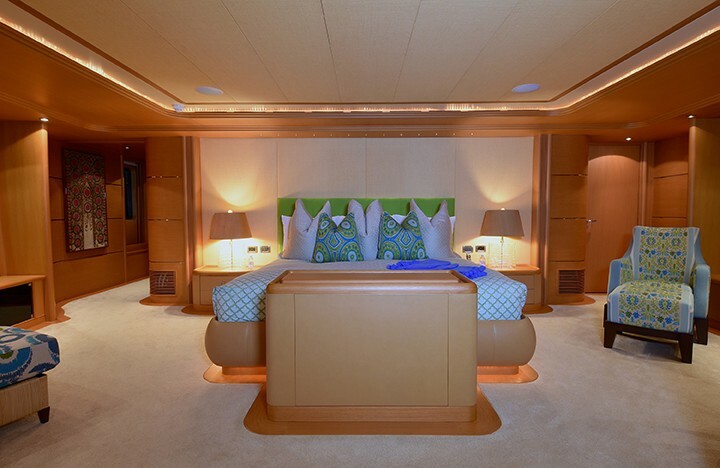 Her design and decoration theme is kept discreet, but the first class quality work is obvious. 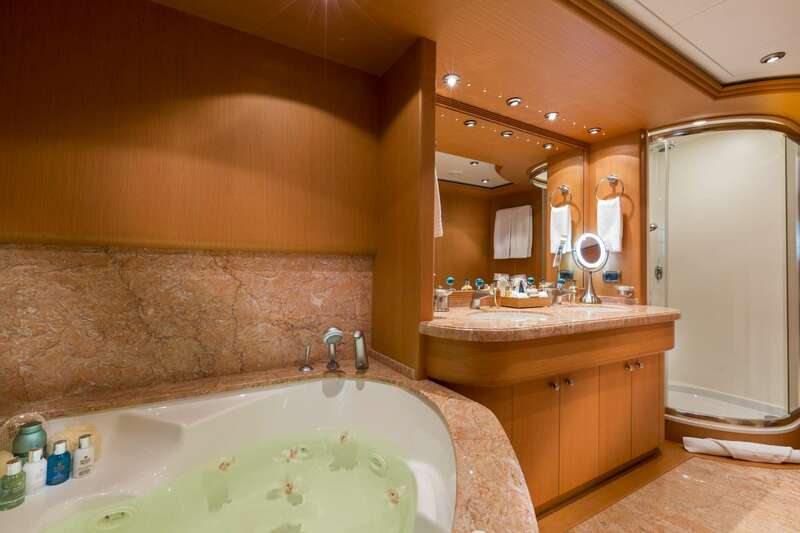 For instance, the cherry wood in the salon, the fabric covered ceilings and the unique pink colored marble in the bathrooms, reflects luxury and style. 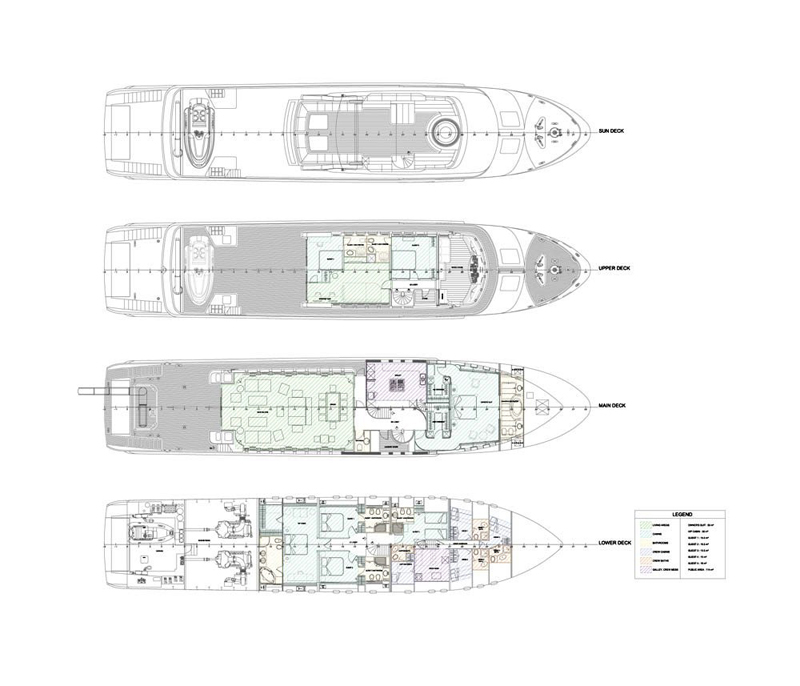 Motor expedition yacht ICE 5 boasts an aft deck which is 7 meters long. 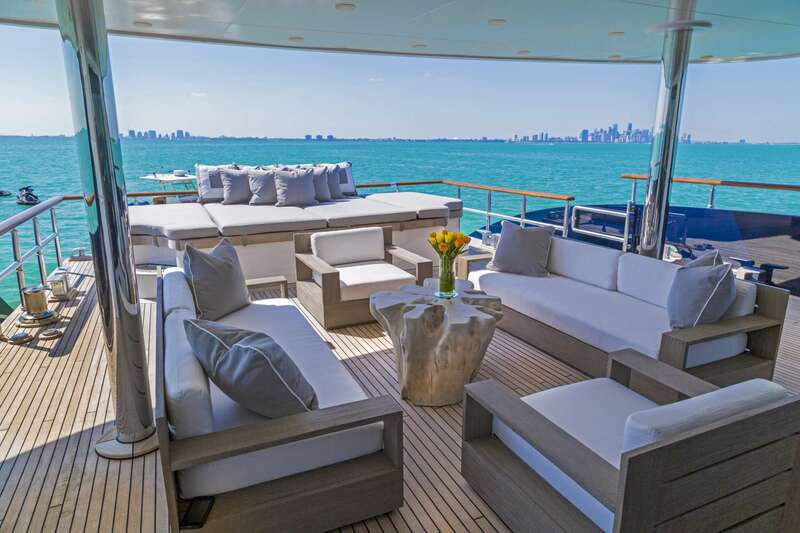 This aft deck features wicker chair sofas and a very large sun pad inviting one to rest. 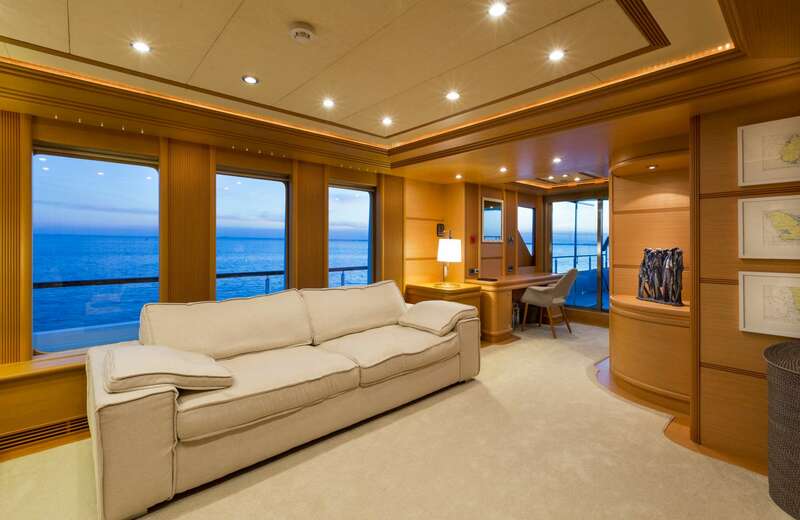 The staircase leads from the main deck to the huge bridge deck where there are numerous variations of seating arrangements. 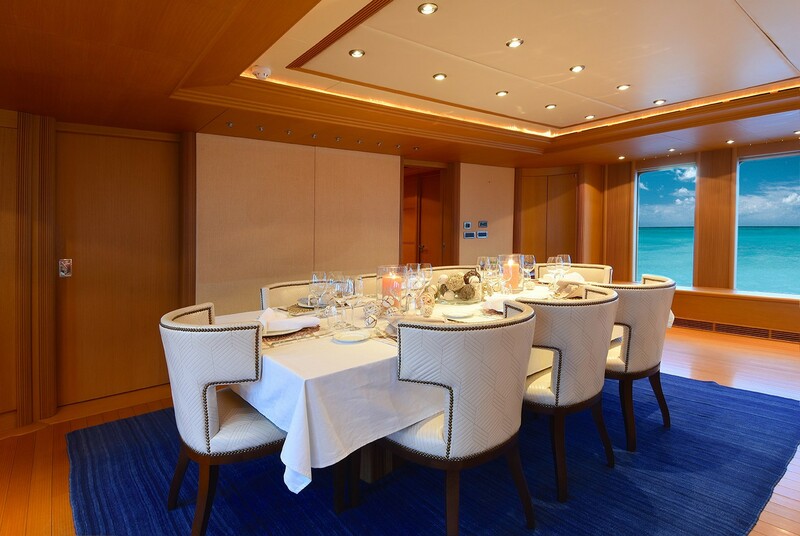 Here, two small tables will turn a table for eight into a table for twelve. 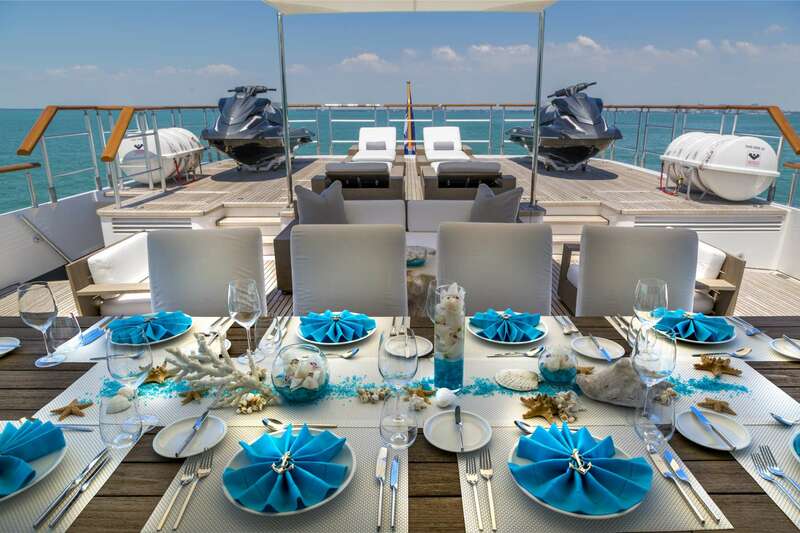 Alfresco dining can also be done on the sun deck which is far away from any harbor noise and 10 meters above the yacht's waterline. 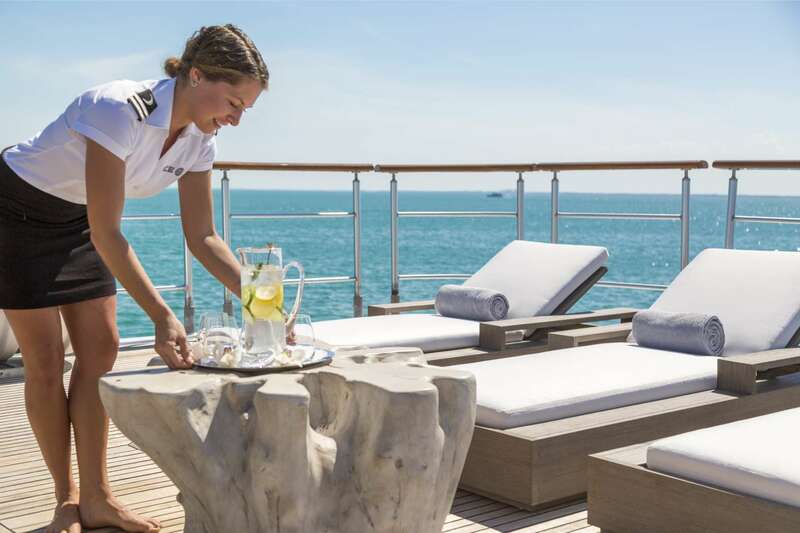 There is a spa pool, bar, and deckchairs on the top deck. 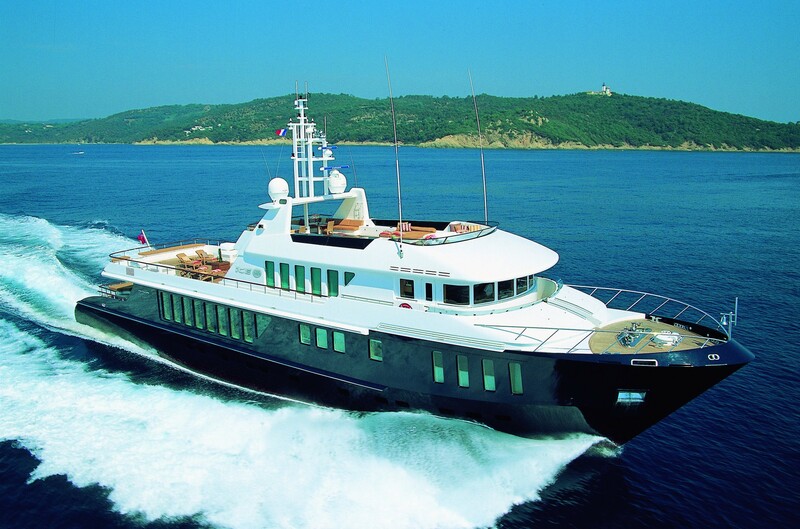 She is fully air-conditioned throughout. 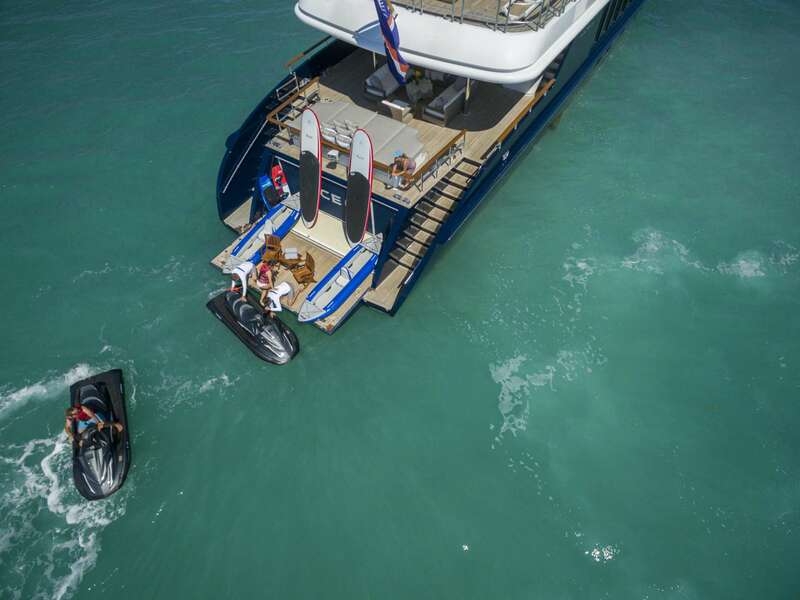 Her aft tender garage door can be turned into a massive teak planked swimming platform. 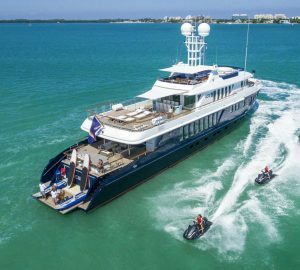 Yacht ICE 5 is a stable and seaworthy luxury vessel with a spacious interior layout as well as plenty of deck surface for guests, tenders, and toys. 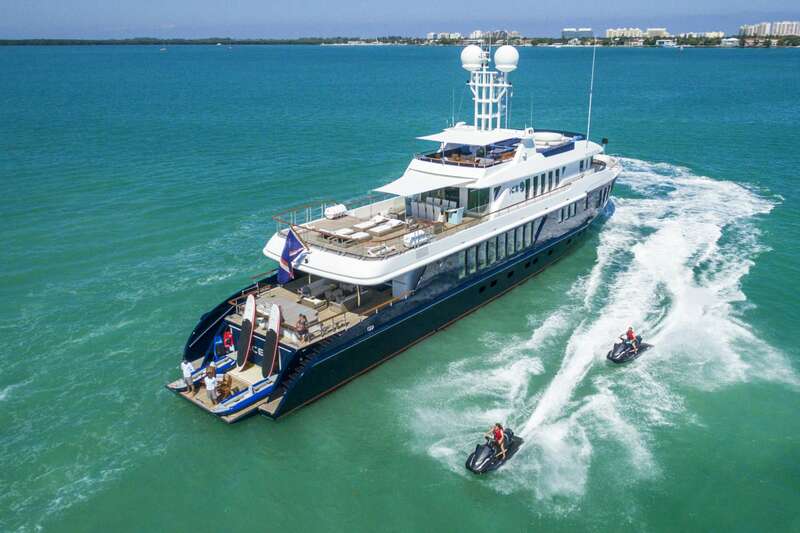 While being a serious ‘deep sea blue water yacht' her two 2285HP MTU 12V 396 TE94 diesel engines push her to a top speed of 22kts so you can travel quickly and safely between destinations. 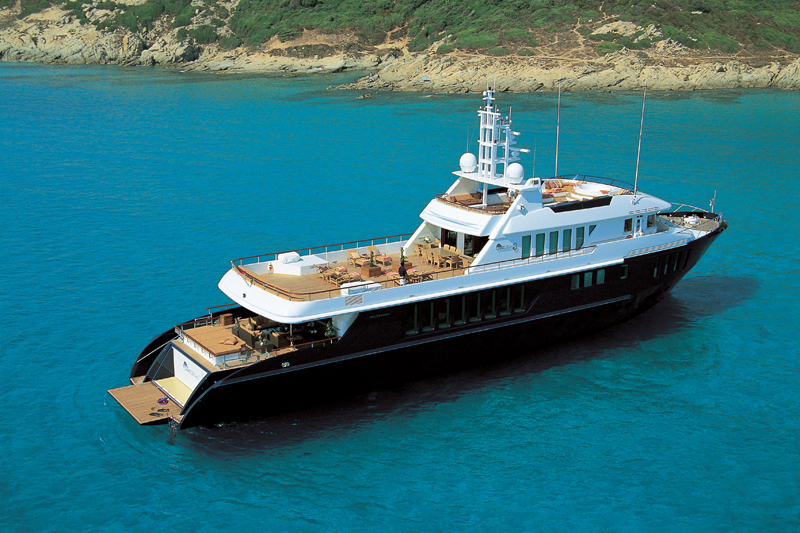 The yacht sleeps up to 12 charter guests in 6 Cabins. 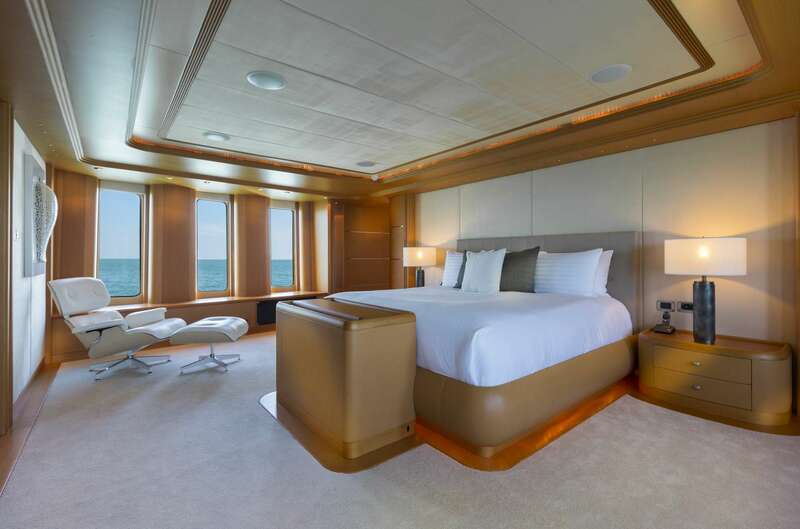 The superyacht’s full beam owner’s suite on the main deck has a king size bed and an ensuite bathroom with a bathtub and shower. 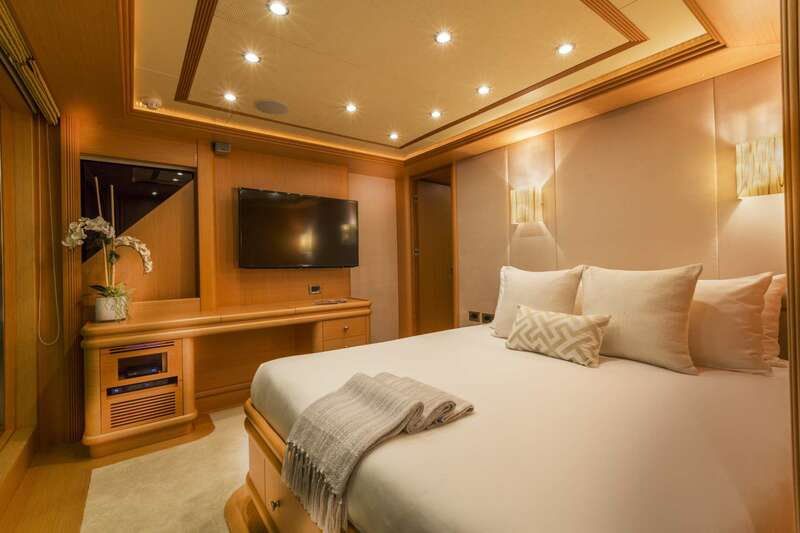 There is a push-up TV screen at the foot of the king size bed, which can also be rotated towards the bathroom so that the owners can watch a movie while taking a bath. 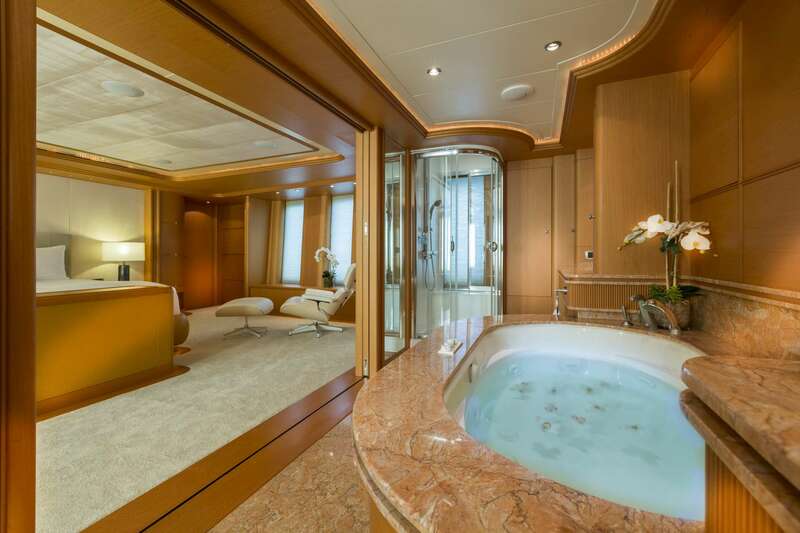 The walls are covered in wood, and the colorful marble surfaces create a warm atmosphere in this discreet room. 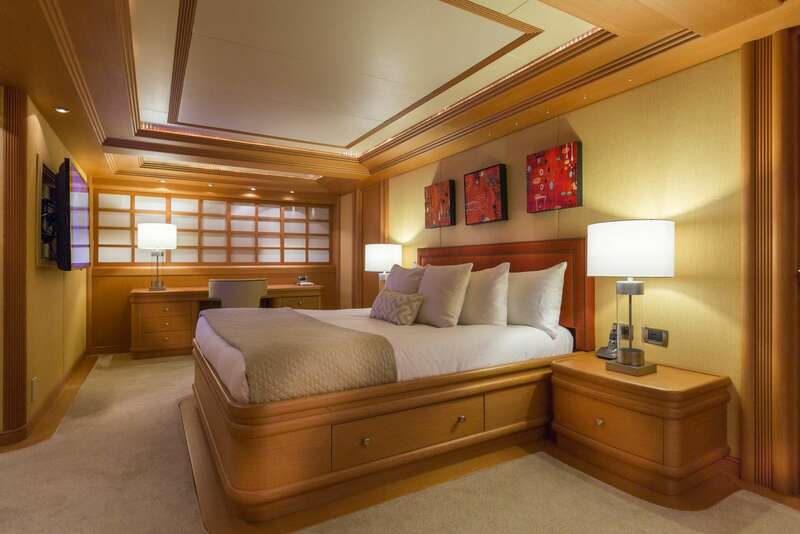 The other guest cabins include a VIP stateroom with king bed, walk-in closet, Spa Pool tub, shower, and head. 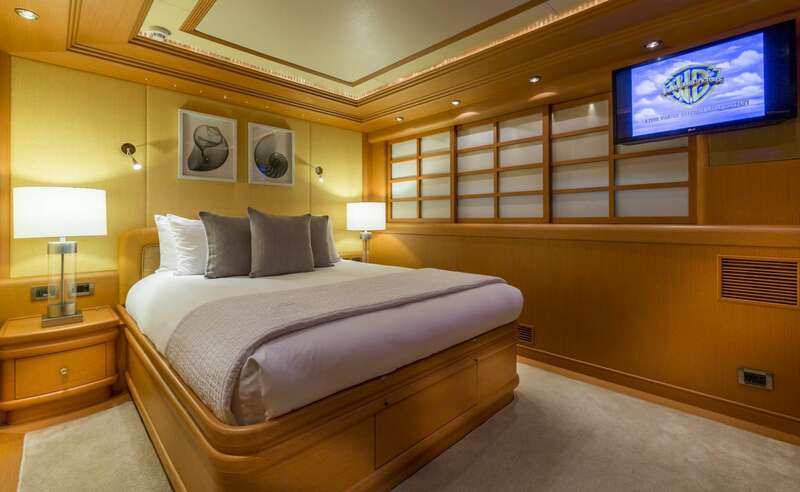 There are three queen sized staterooms with ensuite heads and shower, one of which has direct access to the boat deck. 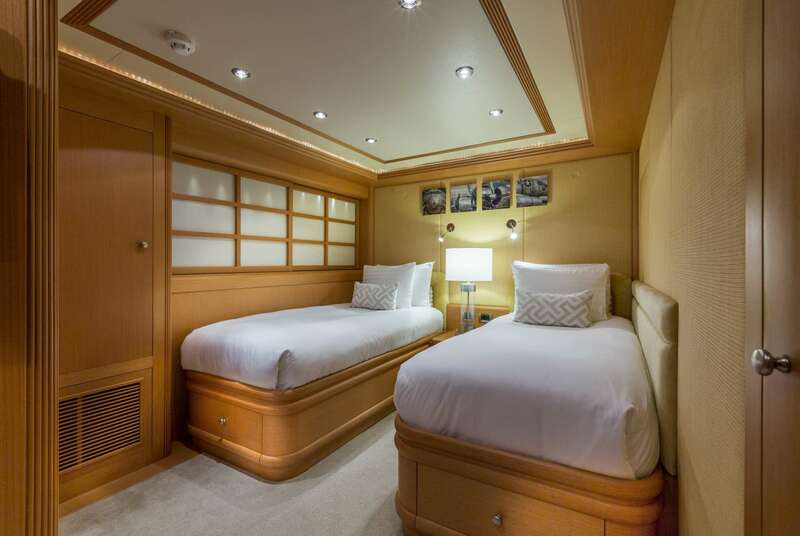 The other cabin hosts side by side twin beds and an ensuite shower and head. 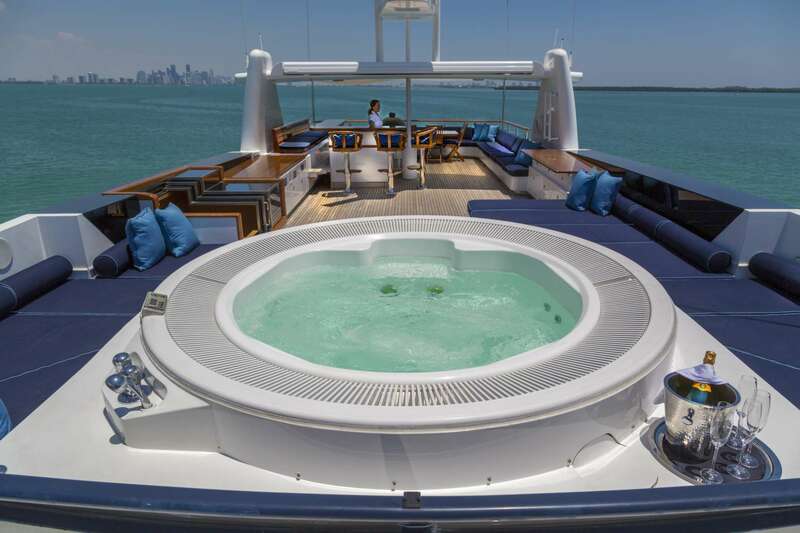 Superyacht ICE has a good selection of water toys and tenders. 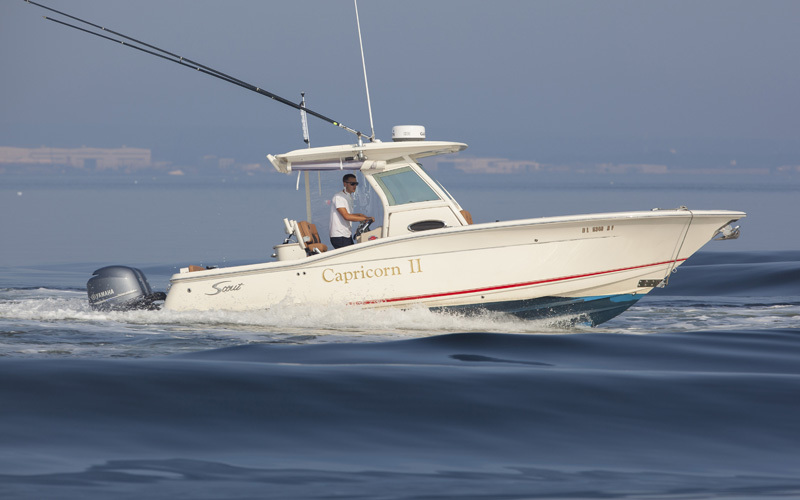 Please contact us to receive a current up to date list of water toys.